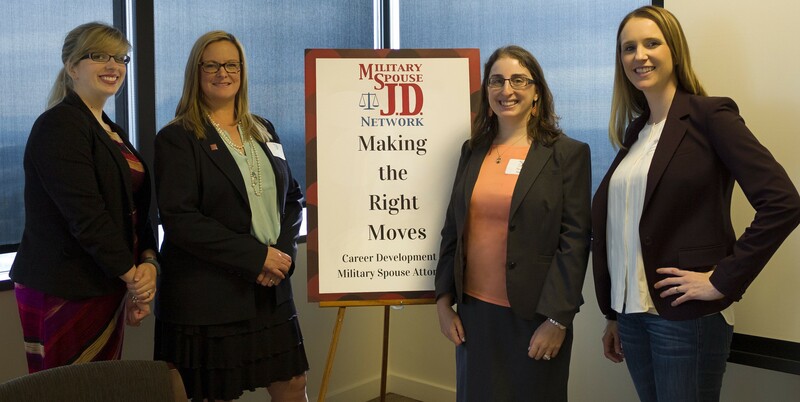 Last month, military spouse attorneys traveled from around the country to gather in Seattle, WA for the 3rd annual “Making the Right Moves” Conference for the Military Spouse Attorney Network (MSJDN.) 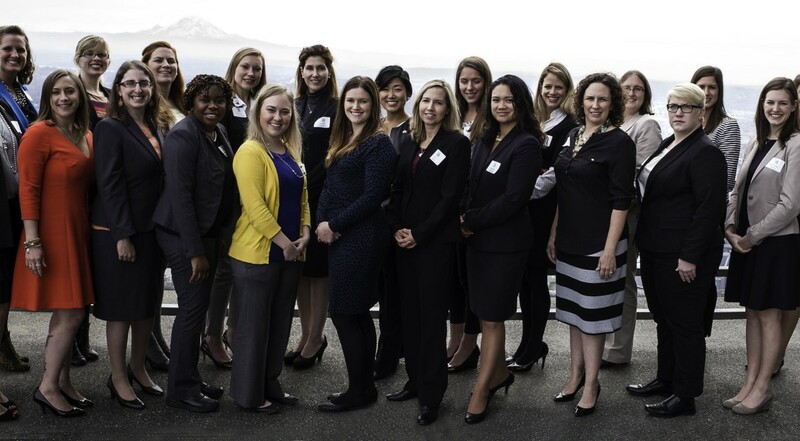 The event was graciously hosted by Bracewell & Guiliani in their Seattle office, with beautiful views of the city and Lake Washington. 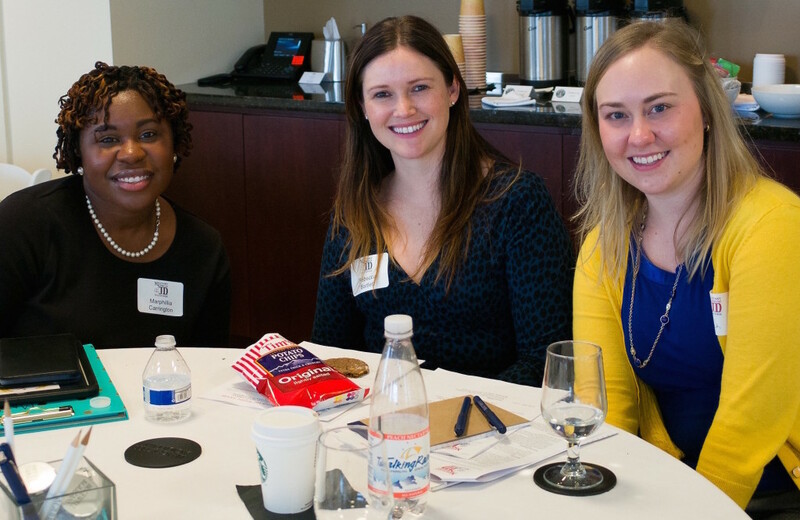 As in the past, the event proved to be a wonderful celebration of military spouse attorneys and provided great networking opportunities to attorneys from all over the country. In addition to those connection opportunities, the conference was chock-full of information related to technology and the law and provided members with resume review and valuable career advice. The tech theme did not disappoint with speakers from Avvo, Microsoft, Expedia, and Thompson Reuters, along with numerous resources for building a remote workspace, leveraging technology to improve your practice, and alternatives to the traditional practice of law for MSJDN members who want a more flexible job option. President-elect Josie Beets opened the morning, along with Phil Bezanson from Bracewell & Guiliani. After the opening remarks, Dan Lear from Avvo presented valuable information on current technological advancements that are impacting the legal profession, specifically in marketing attorneys and firms through sites like Avvo and leveraging those marketing options in the competitive legal field. He gave insightful information on creating an Avvo profile in an effort to advertise your legal services from wherever you reside – something of specific importance to our membership. The second panel linked directly to the tech theme and talked about the many resources and options available for owning a successful practice that can be conducted anywhere. The panel, entitled “Leveraging Technology in Your Practice” consisted of solo practitioner Forrest Carlson, Bill Hayden from Microsoft, and Greg McLawsen of Puget Sound Legal. All three of them supplied numerous resources and tips to help our members start and run successful practices that can operate remotely. They presented information on creating a secure remote network, how to ethically protect client information while working remotely, and how to use technology to run your practice. The third panel, and final before lunch, focused more on how technology is impacting the practice of law, or more specifically, how the two industries are intersecting and creating new areas for growth in the legal field. Ryan Gist from Expedia shared information about online security, sales, and the legality of advertising in an online market. Deborah Chapnick from Boeing and Bernadette Bulacan from Thompson Reuters discussed ways that their careers morphed into different avenues once technology intersected with their prior legal experience. 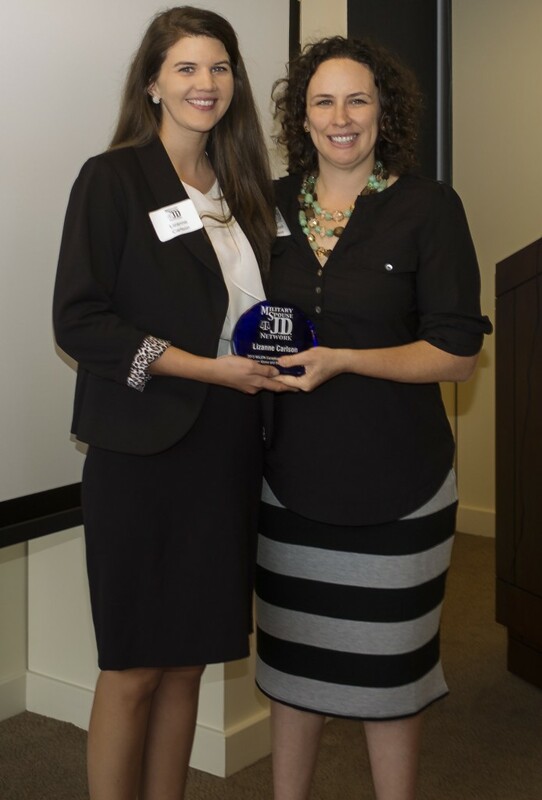 Jus t after lunch, the MSJDN presented member Lisanne Carlson with the Exceptional Service Award for her service-focused practice based around helping disenfranchised people escape dangerous or difficult situations and find legal and financial ways of recovering from them. The first after-lunch panel focused on non-traditional legal careers for JDs – Josie Beets, Lori Volkman, and Donna Honeycutt all discussed their successful careers in alternative non-legal settings and how their JD-based skills have allowed them to excel in those arenas. Donna Honeycutt shared her personal experience in building her consulting firm and how her lawyering skills made that possible. She went on to present information on how to build a small business – and understand everything from the tax implications to the legal structure of creating a business. The next afternoon panel explored how MSJDN members can use volunteering opportunities to boslter their resume and maintain valuable skills, all while serving their community. Hickory Gateless, from Lawyers Fostering Independence, shared his experience in developing an organization that started as a simple volunteer activity and morphed into a fulfilling and passionate career helping disadvantaged youth get the legal representation they need to overcome difficult situations and then provide those youth with skills and opportunities to succeed later in life. MSJDN member Elizabeth Jamison talked about her volunteer work for MSJDN and other organizations and how those fulfilling experiences also helped her build her network and her business. The final panel of the day discussed how a career in the political ranks can provide a pathway to a successful career in an unexpected way. Megan Paone talked about how her experience as a military spouse opened the door for her to work alongside a Senator in Washington and eventually led to a successful career with the Chamber of Commerce. Jinyoung Englund, another military spouse, shared her family’s extensive history in political endeavors and finding the balance between that goal and her role as a military spouse. The afternoon ending with Robert Crowley, from Bracewell & Giuliani, who recognized our organization and the resiliency of its members, providing fantastic insight in how to leverage yourself in the legal field by presenting the unique perspective and skills we can provide to a particular job. Crowley linked back to the theme of the day and presented some great techniques for using LinkedIn and other social media to build a network that will prove valuable regardless of where life takes us. Each year, the Making the Rights Moves conference grows in both attendance and substance, which speaks to the inherent nature of our amazing organization. I have been a member of MSJDN since I was in law school, joining over 6 years ago, and I have made many friends during my time in the group. 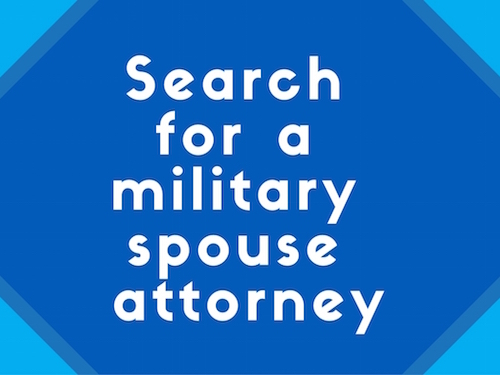 I have now settled in Colorado and am no longer an active military spouse, but continue to use my MSJDN network for everything from job connections to linking families to new areas and vetting creative solutions to legal issues that arise in my practice. Taking a break from my job and the billable hour to get on a plane to Seattle and sit next to some of the most amazing men and women I have ever known was educational, fulfilling, and whole-heartedly fun. Making the Right Moves 2015 proved once again that MSJDN will continue to provide professional insight and friendly discourse and challenge us to build ourselves and each other up for success and lifelong connection. Photos by Angela Photo. View the full MRM 2015 album.